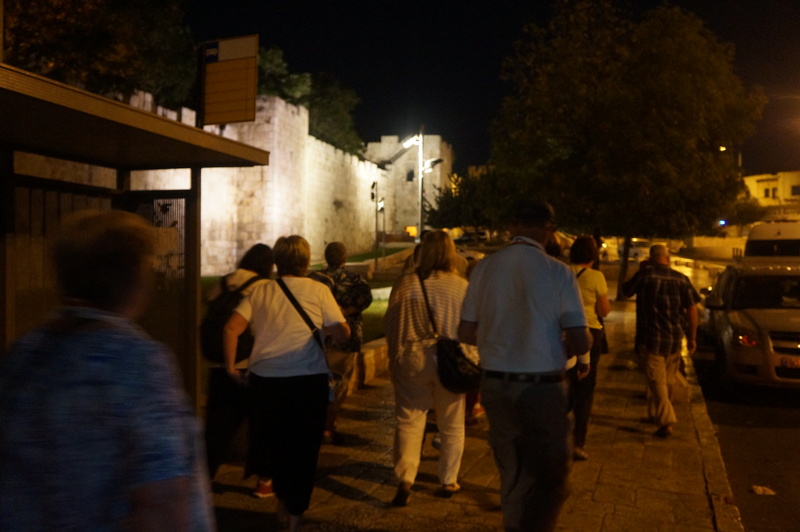 One of the most memorable events we did during our Pilgrimage in Holy Land in 2016 was to retrace the way of Jesus to Calvary while praying the Stations of the Cross on the streets of Jerusalem. I didn’t have the prepared traditional guides for the stations, so the night before I composed my own reflection on each of the stations. We started really early in the morning to have the streets of Jerusalem all to ourselves. 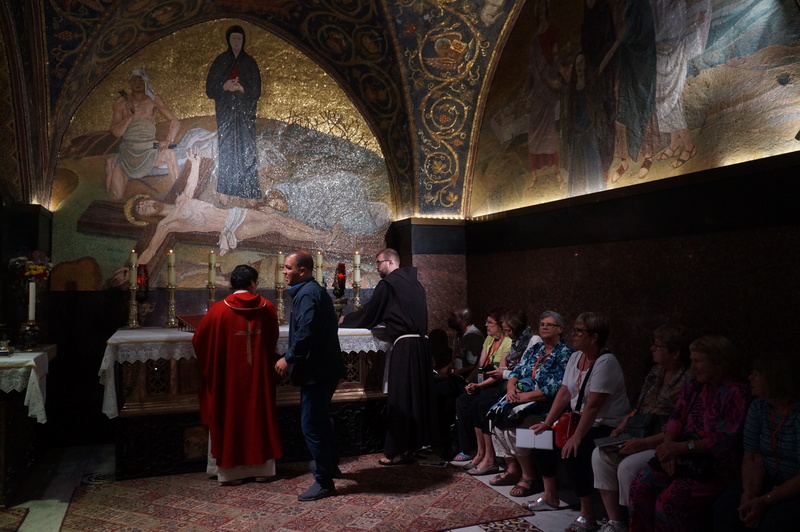 Then we finished it with Mass in the Chapel in Calvary (Church of the Holy Sepulchre Jerusalem). This is so memorable for me so I am sharing this with you. In doing this age-old tradition in Lent, we are following Jesus on the way to the Cross, on the way to death and on the way to life. As we reflect and pray with the stations of the Cross, we offer all our concerns to our Lord and pray that He will transform our problems into prayers, our trials into triumphs, our sinfulness into saintliness, our cross into crowns. Let us also offer this prayerful time for our personal intentions, for our family and friends, for the peace in the world, for the conversion of sinners and for the peace in the Holy Land. Leader: We adore you O Christ and we bless you. Let us contemplate on the face of Jesus—the gentle face that reveals to us what truth is like, the loving face that reveals to us the face of mercy, the most beautiful face that shows us what the Father is like. Let us pray for those who are innocent-victims of injustice, greed, power and ill-informed ideology. Let us also pray for those who are unjustly treated and unfairly condemned, that they may experience the comforting presence and touch of Jesus. Leader: Lord Jesus Christ, Son of God. All: Have mercy on us sinners. When Pilate heard these words, he brought Jesus outside and sat on the judge’s bench at a place called The Stone Pavement, or in Hebrew Gabbatha. Now it was the day of Preparation for the Passover; and it was about noon. He said to the Jews, “Here is your King!” They cried out, “Away with him! Away with him! Crucify him!” Pilate asked them, “Shall I crucify your King?” The chief priests answered, “We have no king but the emperor.” Then he handed him over to them to be crucified. So they took Jesus; and carrying the cross by himself, he went out to what is called The Place of the Skull, which in Hebrew is called Golgotha. Reflection/Prayer: Let us contemplate on the Cross of Jesus weighing heavily on his shoulders. He took on the burden of our sins to himself, in order to free us from the slavery of sin. Third Station: Jesus falls under the Cross for the first time. All we, like sheep, have gone astray; we have all turned to our own way, and the Lord has laid on him the iniquity of us all. He was oppressed, and he was afflicted, yet he did not open his mouth; like a lamb that is led to the slaughter, and like a sheep that before its shearers is silent, so he did not open his mouth. Let us contemplate on the image of Jesus falling under the Cross. Our sins put him down there. Yet, he kept going. He continued on. He never gives up on us even if at times we tend to give him up. 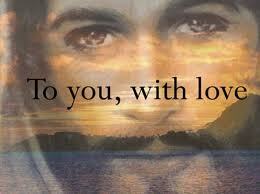 He never abandons us though at times we tend to abandon him or to put him in the last of our priorities. Let us contemplate on the image of Mary, the other women and the disciple Jesus loved standing near the Cross of Jesus. Despite the pain of seeing the suffering of her own Son, Mary stayed by Jesus. And even in his suffering, Jesus still cares for those he loved. He left his mother to the Church and he left the Church to his Mother. Let us pray for all mothers who are suffering the loss of their son or daughter in death, displacement or any other reason, that with the prayers of Mary, they may obtain the grace of healing and reconciliation. Let us also pray for the Church that she may continue to be the caring mother for all her children. Fifth Station: Simon of Cyrene helps Jesus carry the Cross. Leader: We adore you O Christ and we bless you. All: Because by your Holy Cross, you have redeemed the world. The soldiers compelled a passer-by, who was coming in from the country, to carry his cross; it was Simon of Cyrene, the father of Alexander and Rufus. Let us contemplate on the image of Jesus being relieved of his burden because someone helped him carry his Cross. Though forced to help Jesus, Simon of Cyrene was privileged to carry the Cross by which Jesus redeemed the world. Let us pray for those who have helped us in many ways in our time of trials, problems and difficulties in life. Let us also pray for ourselves that we may always be ready to offer help to those in need. Sixth Station: A Jerusalem woman wipes Jesus’ face. Let us contemplate on the woman among the crowd who couldn’t bear looking at Jesus heavily laden with the Cross. Tradition says her name is Veronica which means ‘true face’. With cloth at hand, she wiped the blood and sweat dripping in Jesus’ face. She couldn’t do much, but she offered what little help she could. It was no messenger or angel but his presence that saved them; in his love and in his pity, he redeemed them; he lifted them up and carried them all the days of old. Let us contemplate on the pain of Jesus underneath the weight of the Cross. He took the punishments of our sin to himself because of his great love and mercy for us. He was alienated because he stood up for the truth, for what is just, for what is proper, when we tend to do the opposite to further our self-interests and self-gratification. Eighth Station: Jesus consoles the women of Jerusalem. Let us contemplate on the soothing words of Jesus to the women who empathised with him in his sufferings. Because of his love for us, Jesus would forget his own sufferings just to reach out to us, to comfort us and strengthen us in our sufferings. Even in his sufferings, Jesus still cares for others. Let us pray that like Jesus we may also learn to go beyond our own personal cares and concerns and be sensitive towards others who are suffering. You are those who have stood by me in my trials; and I confer on you, just as my Father has conferred on me, a kingdom, so that you may eat and drink at my table in my kingdom, and you will sit on thrones judging the twelve tribes of Israel. Let us contemplate on the weight of the Cross of our sins that pinned Jesus on the ground. Yet he never gives up on us. He keeps going to assure us that God does not count how many times we fall but on how many times we get up when we fall. Let us pray that we may obtain a truly repentant heart, sorrow for our sins and humility to come to reconciliation with our God and with one another in the sacrament of reconciliation. Let us contemplate on Jesus as he experienced an utter indignity by stripping him of his clothes which had been his comfort and protection. Jesus is stripped of his security, comfort and dignity. Let us contemplate on the hands and feet of Jesus nailed on the Cross. The hands that did all the miracles of healing, feeding, touching the untouchables, and the feet that walked over the earth preaching the Good News of the Kingdom are now nailed on the Cross, helpless and powerless. Let us pray that we may become the hands and the feet of Jesus in the world as his living witnesses. Let us contemplate on the great act of Jesus on the Cross—dying for the ones he loved, dying for his friends. Jesus, our Way, our Truth and our Life gave up his own life for us to live. The one who showed us how to live a truly human life lay down his life in such humility and love, also taught a lesson how to die with dignity— to die for the beloved’s sake. Thirteenth Station: Jesus’ body is taken down from the Cross. Let us contemplate on the dead body of Jesus being carefully prepared for its burial. Jesus’ body is prepared for burial in such care, respect and love by the people who loved him and stayed by him in faith to the end. His dead body assures us now that though our bodies may die, we will rise again in glory with Jesus if remain faithful to him until the end of our earthly life. Fourteenth Station: Jesus’ body is laid in the tomb. Then Joseph bought a linen cloth, and taking down the body, wrapped it in the linen cloth, and laid it in a tomb that had been hewn out of the rock. He then rolled a stone against the door of the tomb. Mary Magdalene and Mary the mother of Joset saw where the body was laid. Let us contemplate on the dead body of Jesus being laid in its resting place. For and in Jesus, the tomb became a gateway to the resurrection. Let us pray that our hope for the resurrection may be sustained, our desire for heaven may grow even more and our dream of eternal life and happiness may be realized for us in heaven. Father, we thank you for the gift of your only Son Jesus Christ who showed us how much you loved us, who assured us how much you care for us by dying in order for us to live. Grant, we humbly pray that we may have the courage to stand up for the truth, to be true to ourselves before you, to be obedient to your will and to be loving to one another. We ask this through Christ your Son, who lives and reigns with you in the unity of the Holy Spirit, one God forever and ever. Amen. Glory be to the Father, and to the Son and to the Holy Spirit…As it was in the beginning, is now and ever shall be world without end. Amen.